No matter how many safety features your vehicle has, it’s the tyres that determine how it drives and handles on snow and ice. At Snow Tyres, we’re not only committed to finding the right tyre for your vehicle, but also to helping you understand why and how you can travel safely on our winter roads. It’s not just about what vehicle you drive. When choosing tyres you’ll need to consider lifestyle, usage and location factors as well. Explore our range below, or contact us for help in finding the right tyre for you. Your vehicle is kept on the road by the four tyre contact areas that are not much bigger than the size of your palm. All steering, braking and accelerating forces between a vehicle and the road are controlled by the tyres. Nokian tyres have been designed and tested to keep you safer on our winter roads. And in order to appreciate why you should invest in a set of snow tyres, it helps to understand how they work. Special silica compounds remain soft below 7°C to maintain grip with the road. 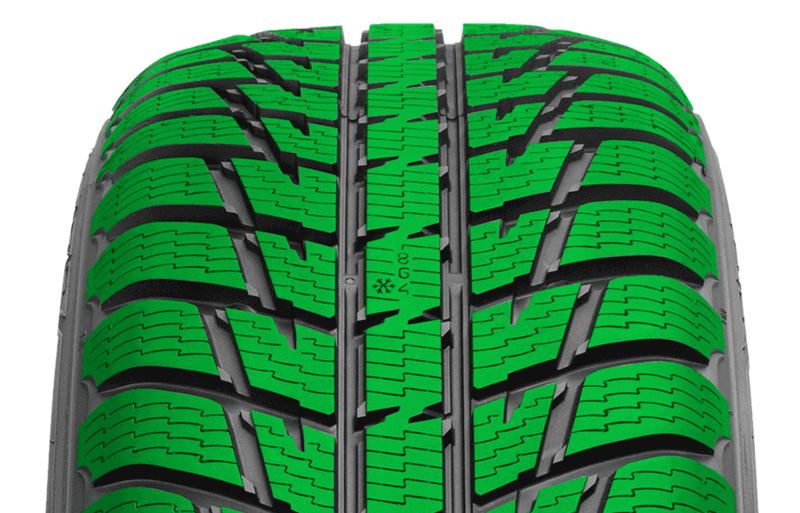 Patented 3D Lock Sipes improve the grip of the tyre, especially when cornering and braking. Symmetrical and directional tread pattern helps prevent slush planing and aquaplaning. Removes water, slush and snow from the surface of the tyre for better contact with the road. Easily check the wear rate and condition of your tyres, just by looking at the indicators. On hazardous winter roads, vehicles with four driving wheels may accelerate better than those with two-wheel drive, but their cornering and braking capabilities are little different than a 2WD. When you’re trying to stop or turn, the limits are determined by the grip of your tyres, not the vehicle drive system. The only thing the driver can do to increase traction, to actually get more grip and safer control, is to install winter/snow tyres. Test results from Auto Bild magazine (Germany) published 02.10.2014. Tyre used in test Nokian WR D3, size 225 50 R 17 98V. Vehicle used in test BMW 5 Series. Are snow tyres a good investment? If you drive in alpine areas regularly, it makes good financial sense to purchase snow tyres. You’ll extend the life of your summer tyres, reduce the accident risk and potential of damage to your vehicle and, importantly, increase the safety of you and your passengers. 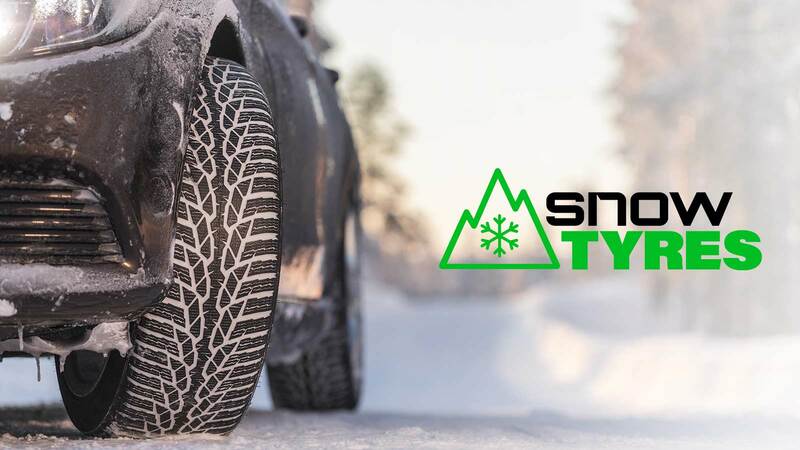 When you purchase Nokian snow tyres from Snow Tyres we will ship them to one of our network of recommended installers listed above, or to your own preferred tyre centre for fitting. Please contact us for more details. For more information about Snow Tyres, visit our social media channels.